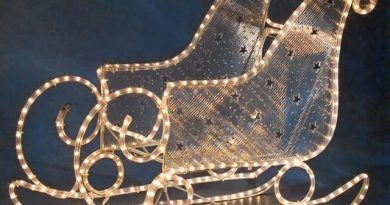 I love light-up outdoor Christmas decorations and when it comes to what you can actually put on your house, you’d be hard-pressed to find anything better than icicle lights. 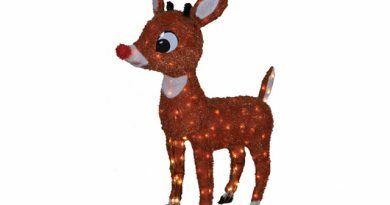 I have several strands of these lights which typically come in 12-foot lengths. You simply plug the end of one strand into the end of another strand to make as long a run as you need. That said, be sure to read the package directions carefully because there is usually a limit to how many strands you can connect. I love the bright clear “white” lights as they really do give the appearance of long icicles. I got these to dress up the bottom edge of the roof line on the front of my house. I simply attach plastic light clips to the gutters (placing them about every 12 inches), then place the coated icicle lights strand into the clip hook. Hanging these icicle lights along the top edge of the attached garage and on the front of the main house gives my home a bright yet cozy holiday appearance. Some people even put these on the roof line on the gable ends of their house and/or garage. I don’t do that because those areas are way too high for me to comfortably reach. You need good tall extension ladders and the rights tools to attach the clips and light strands and those are items I just don’t have. If need be, you could hire a handyman to do this for you. There are even companies that specialize in installing outdoor holiday lights if you really can’t or choose not to do the work yourself. But I also hang a strand of these lights off the railing of my front porch deck. Combined with what’s on the main house and garage, it’s all the dangly lights I need! 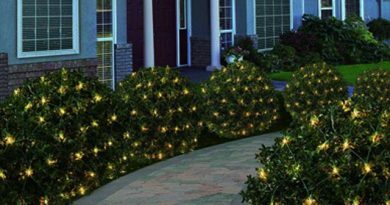 With 150 lights per strand, the glow effect is stunning at night! When you open a new box of these lights, you fill discover that the drop lines (i.e. 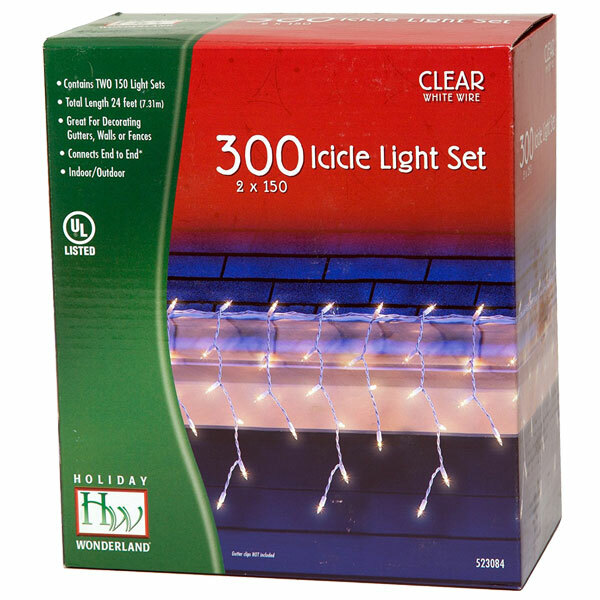 the short strands containing the lights which hang down giving the icicle effect) will be folded and inclined to not hang properly if you were to install the strand immediately after unboxing. So I recommend you unbox at least a day or two before you want to install them. inside in a warm room, remove the strand from its box, remove any twist ties holding it together, and spread the strand out to allow the wire to stretch and relax. This way, when you go to hang the lights outside, the down lines will look more natural and not have a crimped, folded appearance. For off-season storage, don’t fold them and try to stuff them back in their box. Instead, coil them loosely and hang on hooks or lay them flat in a larger storage box. They’ll be ready to go for the next season, no problem. As mentioned, be sure to get a supply of the plastic light clips for easy installation along your roof line, gutters, or railings.